Oftentimes, a party may wonder as to the enforceability of the provision and how it is applied in the context of a dispute between a contractor and its subcontractor where both parties have asserted claims against the other. In an opinion out of the Middle District of Georgia, U.S. f/u/b/o Cleveland Construction, Inc. v. Stellar Group, Inc., 2019 WL 338887 (M.D.Ga. 2019), a subcontractor and prime contractor on a federal construction project each asserted claims against the other in the approximate amount of $4 Million, meaning there was a potential $8 Million swing in the dispute. The subcontract contained a provision entitling the contractor to recover attorney’s fees incurred in enforcing the subcontract or seeking remedies under the subcontract upon any default, identical to the provision above. The case proceeded to a jury trial and a general verdict form was presented to the jury that did not differentiate between the claims each party sought. The jury found the contractor was liable to the subcontractor for approximately $2.5 Million and the subcontractor was liable to the contractor for approximately $1.3 Million, leaving a net verdict in favor of the subcontractor for approximately $1.2 Million. The contractor, however, sought its attorney’s fees (and costs) pursuant to the default provision since the jury found the subcontractor was liable to it for approximately $1.3 Million. The subcontract provided that upon a default, the contractor is entitled to attorney’s fees incurred in (i) enforcing the subcontract or (ii) seeking remedies under the subcontract. But, to be entitled to fees, there had to be a subcontractor default. The trial court found the subcontract was unclear as to the actual connection that needed to exist between the default and what is actually recoverable at trial. In other words, it was unclear whether there needed to be a relationship between the default and the recoverable attorney’s fees or whether the contractor could recover attorney’s fees upon any default regardless of whether the attorney’s fees incurred related to that specific default. 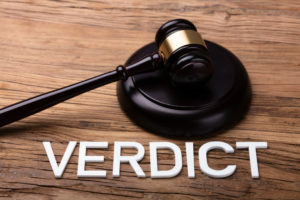 The trial court did not interpret the default attorney’s fees provision that broadly and held the contractor must show a causal connection between the default, the enforcement of the subcontract or remedies sought under the subcontract, and the attorney’s fees incurred. “Under the [subcontract] enforcement prong, [Contractor] would be expected to show that the fees it incurred related to the successful pursuit of the claim for default. Similarly, under the remedies [sought under the subcontract] prong, [Contractor] would only be entitled to fees incurred in the actual obtaining of a remedy for [Subcontractor’s] default.” Stellar Group, 2019 WL at *2. This is not an easy feat, and here lies the problem. Based on a general jury verdict form, the jury was not asked to make specific findings as to facts that could support the issues relating to the default or the claims prevailed on. Thus, allocating those attorneys’ fees incurred to the default and enforcement of the subcontract it prevailed on is taking a shot in the dark. Notwithstanding, there are lessons learned from this case. First, the trial court did not find the attorney’s fees provision unenforceable even through the net judgment went in favor of the subcontractor, That is promising. Second, for purposes of a jury trial, had the contractor objected to a general verdict form and requested special interrogatories in the verdict form relating to this issue, the contractor may have been able to allocate certain attorney’s fees incurred to the claims or issues it prevailed on at trial. And, third — perhaps the most important — this subcontract language can be revisited to make the entitlement and application of attorney’s fees more clear in favor of the contractor. With that said, the trial court’s interpretation that the fees incurred should have a causal connection to the default and enforcement / remedies under the subcontract prevailed on is not an unreasonable application by any means.